When a discovery comes along of this magnitude that potentially can help millions of cancer patients the news must be spread and shared. The pharmaceutical industry and the federal government choose to turn a blind eye to this because of the fact they cannot patent cannabis and make money off of it. 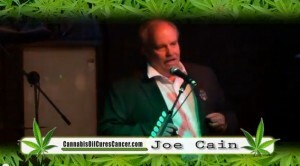 We have chosen to spread the word about this at a festive gathering of musicians and speakers to promote the benefits of Cannabis (Hemp) Oil and provide much needed information to the people who need it the most. Join us this night and help to spread the word.